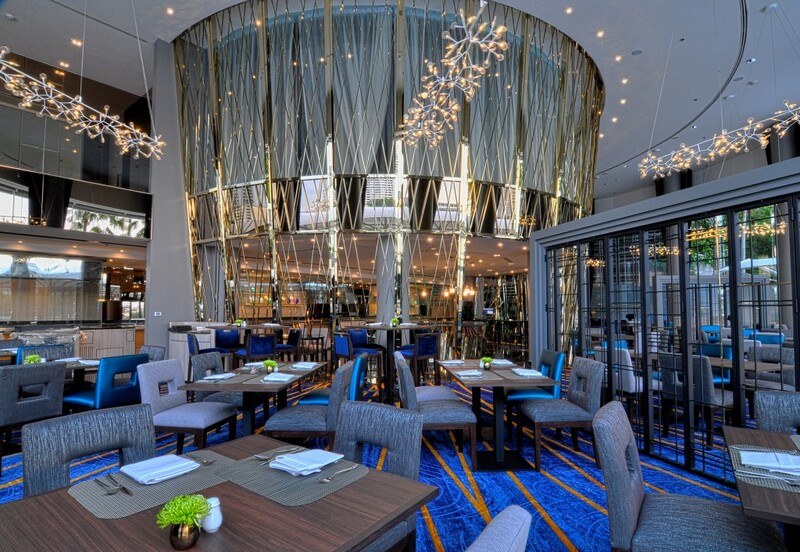 Following an extensive refurbishment, River Barge Restaurant at Chatrium Hotel Riverside Bangkok has reopened its doors with a luxurious, vibrant new look. Bringing an eclectic new menu, focusing on the freshest and most enticing of dishes, we are proud to showcase the very best of buffet styles ever offering you a treat for all the senses with both impeccably tasty food and the new mesmerizing look of the River Barge Restaurant, 7 days a week. Our River Barge Signature Dinner Buffet every Sunday to Wednesday, Thai Night Dinner Buffet every Thursday, Remarkable Riverside Dinner Buffet every Friday and Saturday and Sunday Brunch by the River every Sunday are bound to delight diners as they enjoy their meal overlooking the panoramic views of the majestic Chao Phraya River. Every Sunday to Wednesday, pamper your palate with our River Barge Signature Dinner Buffet featuring an impressive array of local and international favourites catering for all tastes plus Chef’s special daily signature dishes, including imported snow fish, smoked salmon and San Daniele ham. We cordially invite you to experience all the delicacies on offer with the sedate ambience and laid-back sounds of our live band providing the perfect atmosphere. Price at THB 1,490 net for adults and price at THB 745 net for childs (6-11 years). Every Thursday is a celebration of the very best Siamese cuisine with the Thai Night Dinner Buffet at River Barge Restaurant. There is no better evening than getting together with your friends or family to taste firm favorites that are sure to please everyone with our unique and fully interactive Thai buffet featuring several classic dishes. You are also invited to participate in a fun cooking activity and have an unforgettable moment with a traditional dulcimer performance and garland making activity plus the opportunity to practise your culinary skills in an afternoon Thai cookery class. Price at THB 1,350 net for adults and price at THB 675 net for childs (6-11 years). Every Friday and Saturday, let your mouth and taste buds linger over the sensational flavours of our remarkable selection with a truly expansive international dinner buffet featuring a virtual smorgasbord of dishes and creative culinary delights, including whole roasted pig and duck, foie gras, Wagyu beef, oysters, crab and fresh seafood. If you are dreaming of some heavenly Chinese fare, you can also sample some specially-selected items from our Silver Waves Restaurant with some dishes served à la carte style while listening to the mellow sounds of a 5-piece band. Price at THB 1,690 net for adults and price at THB 845 net for childs (6-11 years). Every Sunday, let your River Barge experience begin even before your arrival with welcome drinks served on Chatrium’s shuttle boat from Saphan Taksin BTS Station. Upon arrival, your little ones will be well-catered with a fully- supervised kid’s room featuring kid’s activities, cartoon movies, games and a special dedicated kid’s buffet line. Price at THB 1,850 net for adults and price at THB 925 net for childs (6-11 years). To make this a truly memorable occasion we’ve got an international brunch buffet of impressive proportions including whole roasted pig, foie gras, Wagyu beef, oysters, fresh seafood and a decadent homemade dessert buffet in the Lobby Lounge area plus pre-lunch cocktails at the 36th floor Club Lounge from 11.30 a.m. onwards allowing diners to take in the spectacular views of the Chao Phraya River and beyond prior to dining. Chatrium Hotel Riverside Bangkok offers exquisite buffet experiences in a new upscale riverside dining location with a range of international and local culinary delights giving guests the chance to sample a variety of decadent dishes from around the world. Get together with your family and friends for a dining occasion to remember every day starting from 6.30 p.m. – 10.30 p.m. with Sunday Brunch by the River starting from 12.00 p.m. – 3.00 p.m. with the dessert buffet available until 4.00 p.m.